Rat power. Now we're talking. 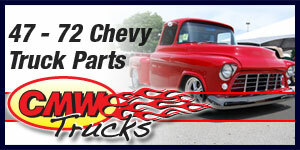 Chevrolet introduced the Big Block Chevy motor in 1958 to keep up with the big cars and power demands. 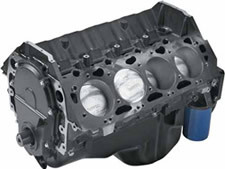 The Big Block Chevy came in many displacements including: 348, 396, 402, 409, 427, 454 and 572 from GM Performance. 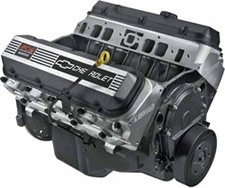 Between 1961 and 1965, you could get a 409 engine rated at 360 hp, 380 hp, 409 hp and a 425 hp. 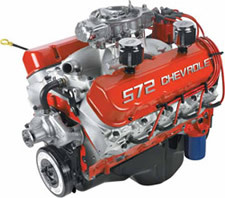 The 409 Big Block Chevy was so popular that the Beach Boys wrote a song called 409 about the legendary 409 engine. 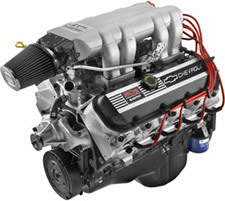 A special version of the 409 with increased cubic inches was offered as the first version 427. The first 427 was meant for drag racers and sported a lot of aluminum parts to reduce weight on the motor. There were less than 60 made. 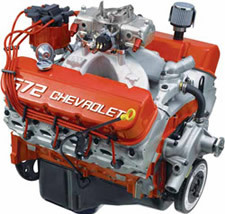 In 1966 a second generation 427 ci engine was made available to Chevrolet car buyers. 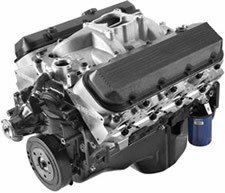 There were many versions from hydraulic and solid lifter versions, power steering or not and several horsepower and torque ratings. 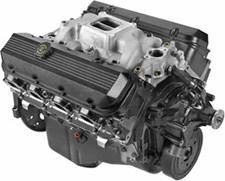 Power ranged from 425 to over 500 horsepower. 427's were offered in Biscaynes, Corvettes and more. The most common or plentiful is the 454. 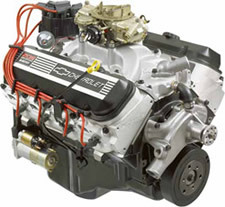 Offered in 1970, the 454 was stuffed in the Corvette as an LS5 or LS6, The LS5 big block Chevy pushed 390 horsepower and torque of 500 ft·lb. 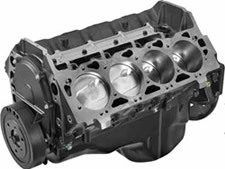 The LS6 big block was even healthier at 450 horsepower. Many claim the power is actually over 500 HP. 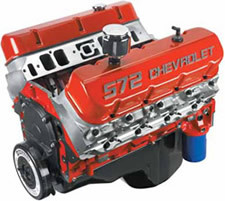 The 454 big block Chevy was used until 2006 in trucks and was retired.